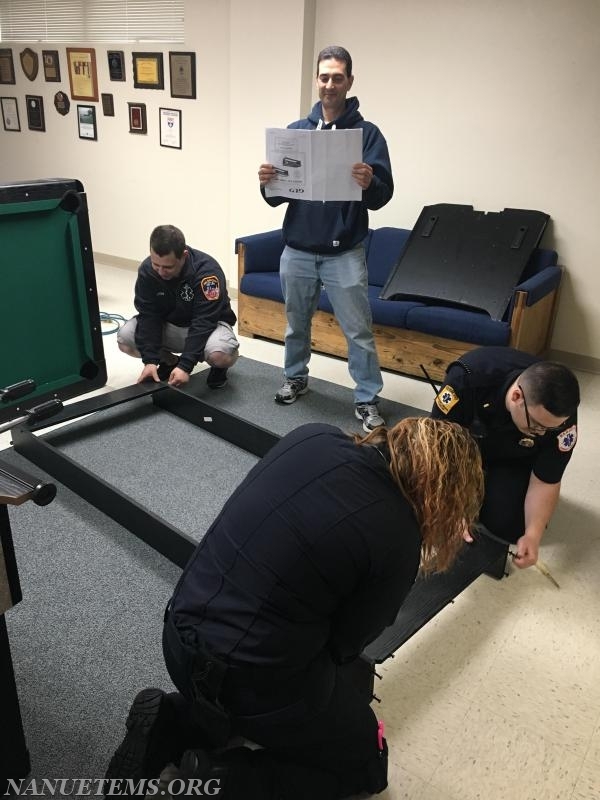 This past weekend Dr. Marc Habif - President/CEO of Rockland Pain Management & Rehabilitation and Life Member of Nanuet Ambulance donated a new pool table and a new air hockey table to our agency! Assistant Chief Jonathan Delgado accepted the items on behalf of the Nanuet Community Ambulance Corps. Both tables were placed in our Volunteer's Lounge which also has a large flat screen tv, dart board, foosball table and comfy couches! These new additions will help bring volunteer members down to the station to staff additional ambulances! 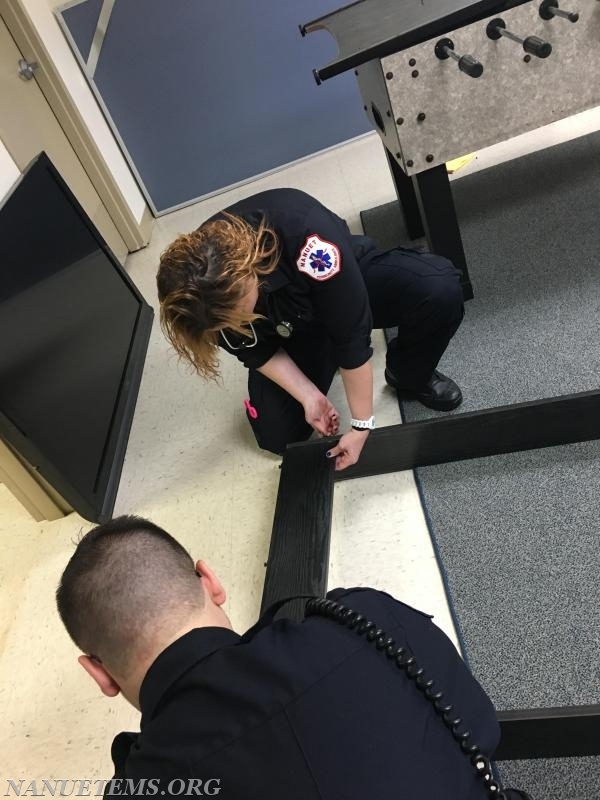 Lt. Ringer, EMT LaFrancois, and EMT Stone also assisted in assembling these tables at our station. 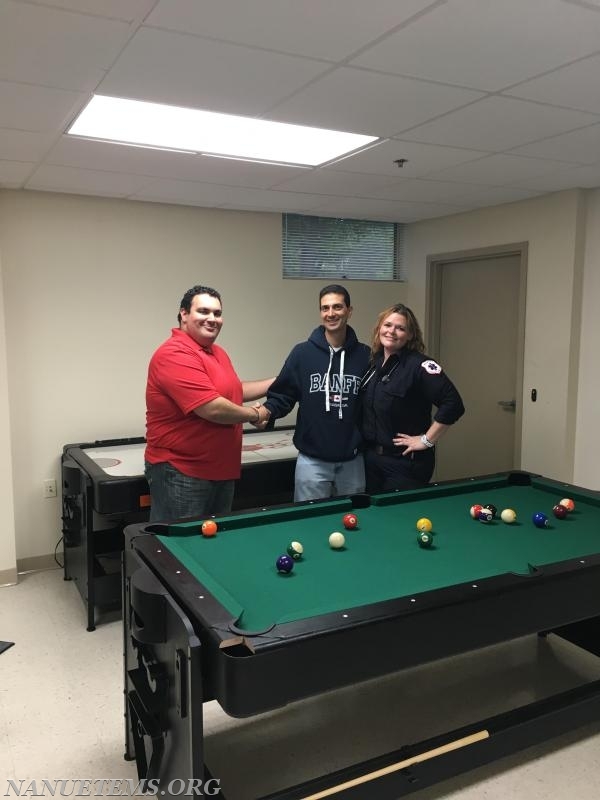 Assistant Chief Delgado and EMT LaFrancois thank Dr. Habif for the donation of a new pool table and a new air hockey table!